I found this recipe on Pinterest. It can be found here. These were very easy to make and very good. The next time I make these I would make each ball smaller. The cookie scoop made very large cake balls. These could easily be made to fit any holiday by using different sprinkles. 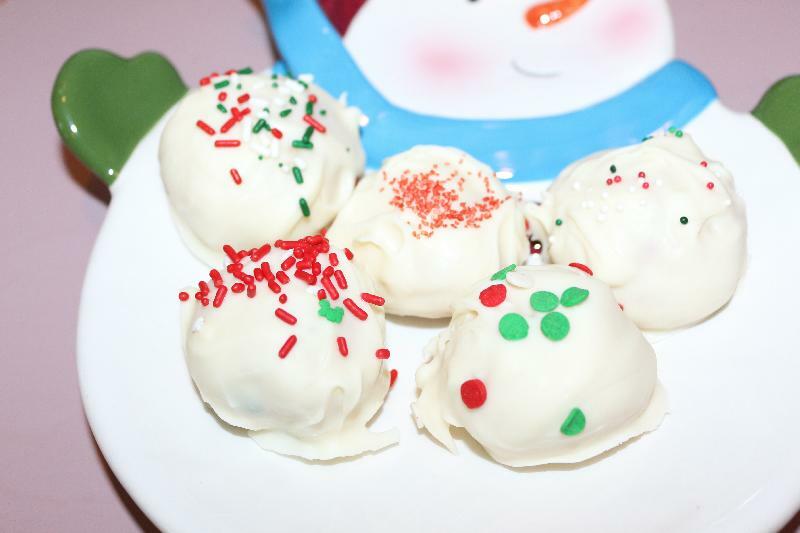 While the cake balls are in the fridge, melt the chocolate in a double boiler or slowly in the microwave.